The Snowflake Sparkle Winter Wedding Invitation is elegant yet affordable! These bright white wedding invitations feature ornate snowflakes printed in faux silver glitter perfect for your winter wedding. 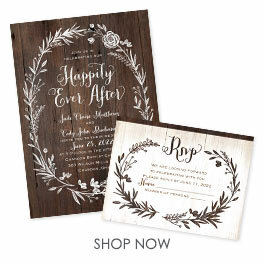 These two-sided wedding invitations are printed with your invitation wording on the front and your choice of wording on the back (reception details shown). Response postcards are included and matching information cards are available.